Did Sony do enough? The upgrades over the XZ are small and 12% of voters are “fine with the old one” (compare that with 15% voting for “upgrade”). To be fair, Sony is targeting holdouts with Z5 or older flagships, to them the upgrades will be more substantial. But even they will be tempted to wait a few months and just get the Xperia XZ Premium. Sure, it will probably be a bit pricier, but it’s clearly the best phone in Sony’s early 2017 lineup. And if you’re not getting the best, get the XZ when the price falls. 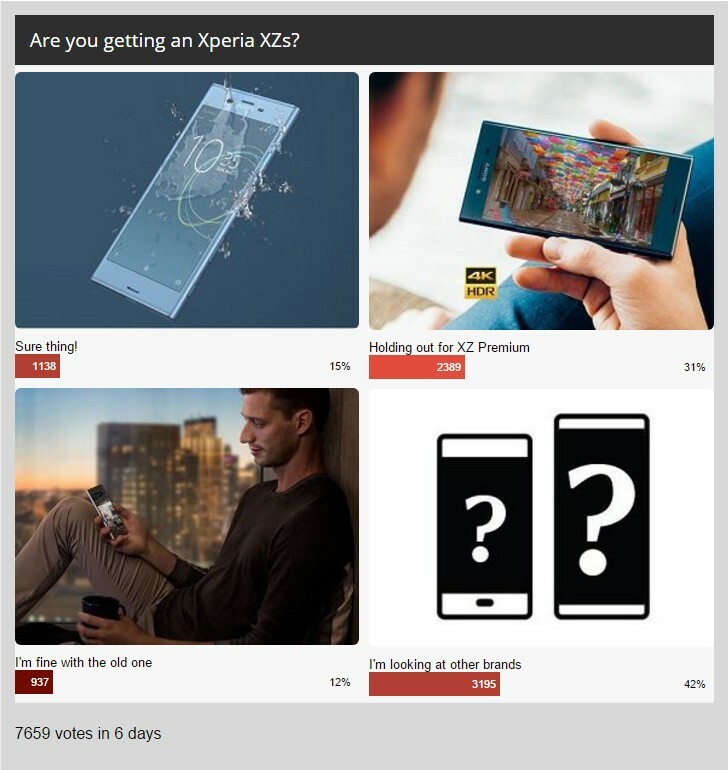 We wonder - is Sony hurt by not offering an “Xperia XZ Plus”? Say you don’t care about 4K HDR, but do want a 5.5” screen - Sony has no such device. That’s a niche, that the XZs could have served. Then even XZ owners may be tempted. Anyway, Sony’s core audience is very loyal - the company doesn’t have to sell the most phones, it has proven it can make a profit of few premium sales. Yet it looks like it will be the XZ Premium that brings in the dough, not the XZs. What kind of fact?only samsung fact...did you know about sony fact?